Sometimes simple is absolutely beautiful. 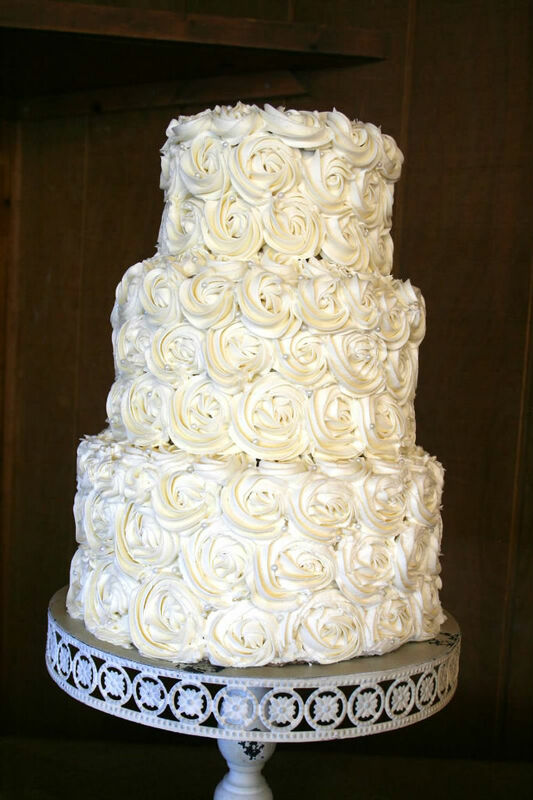 This 3 tier cake is just that! Add to this a few dozen specialty cupcakes (Peanut Butter, Oreo, Root beer float) topped with roses that match the cake and you have a wonderful combo.